This past weekend, BariMelts and the Bariatric Buzz had the pleasure of attending the Your Weight Matters Healthy Living Expo in New Orleans, LA! In case you are not familiar, the Your Weight Matters Healthy Living Expo is the largest National meeting dedicated to providing evidence-based strategies for individuals impacted by excess weight and obesity, proudly brought to you by the National non-profit organization, Obesity Action Coalition (OAC). The OAC’s National Convention is a 3-day educational event designed to bring together all individuals who struggle or are concerned with weight-related issues. The entire weekend is dedicated to presenting a comprehensive agenda, comprised of diverse topics that are designed to help any individual who has ever had a concern about their weight. The weekend was filled with a lot of great activities for Bariatric patients! There were plenty of fitness classes, educational workshops, and networking dinners on the OAC schedule to keep everyone busy. Plus it was a great way to connect and meet so many inspiring people! Our BariMelts booth was a big hit! We offered tasting samples of our BariMelts B12 Plus, one of our most popular Bariatric products. We received some great feedback from our guests – especially about the taste! We also had plenty of sample packs of BariMelts Multivitamin, Biotin, Iron, Calcium, and Protein powder available for attendees to take home and try. We offered an amazing giveaway opportunity at our booth where guests could sign up for a chance to win a brand new FitBit Charge 2! Congrats to our FitBit winner, Charity Estrada! Over all, the BariMelts team had a great time soaking up the New Orleans culture, savory food and Red Dress Run! We can’t wait to see everyone again next year at OAC 2018 in Denver! Did we miss you at the event? 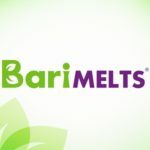 Visit our BariMelts website and join our newsletter for a special 20% promotion and get a free sample pack with your purchase!